EcoTech oven cleaning Ruislip is your local specialised oven cleaning service for Ruislip and the surrounding areas. Our oven cleaning Ruislip service will restore your cooking appliances to near showroom condition in approximately 1-2 hours. We use only 100% biodegradable, eco-friendly, non-toxic and non-caustic cleaning solutions combined with good old fashioned elbow grease. There will be no nasty smells from the products used in the cleaning process and all products are perfectly safe for you (including expectant mums), your children and pets. We are fully trained and insured for your peace of mind. Your cooker is a major feature in your kitchen and something that we all rely on. Having your oven cleaned professionally not only will it look fantastic but it will also be more effective and last longer and your food will taste better as all the burnt on carbons can affect the taste and smell of your food. Once your grill is cleaned your smoke alarm is a lot less likely to be set off. The oven cleaning Ruislip service has been covering Ruislip and the surrounding villages for over 5 years and a high volume of our work is repeat business and recommendation. We are members of Checkatrade and Which Trusted Traders. First we remove all the removable parts (racks, trays, linings, back plate and fan blade where possible) which we place in a dip tank in our van and we then heat this up and leave them to soak. Meanwhile, we take off the doors of the oven, open them up so we can clean inside and between the glass. Remove and clean the rubber seals. With plenty of elbow grease, we remove all the burnt on deposits and carbon inside the oven leaving it clean and shiny. Extractor hoods are cleaned inside and out (except motor) papers filters are replaced or permanent metal filters are cleaned. We also replace light bulbs (if necessary and possible) free of charge. EcoTech oven cleaning Ruislip service prices are always competitive and great value for money. 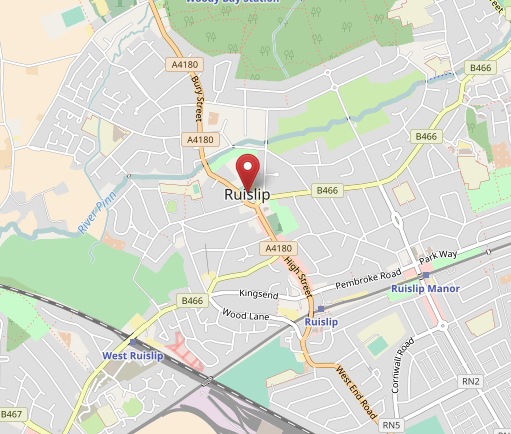 As an independent family business we pride ourselves in offering a friendly, polite, professional and reliable high quality service in and around Ruislip. From the moment you make contact with us to the completion of the work we will ensure you receive 100% customer care. EcoTech oven cleaning Ruislip cleans all makes and models of cookers (including Agas), hobs, extractor hoods, microwaves and BBQ’s. EcoTech oven cleaning service and EcoTech carpet cleaning service are dedicated to produce perfect results every time, no matter how dirty your oven or carpets are. All cleaning services are carried out with all due professional care. EcoTech Oven & Carpet Cleaning shall not be held responsible for damage caused by the quality of the appliance to be cleaned if the damage was not detected during a professional inspection prior to the appliance cleaning (e.g. damage as a result of loose knobs or handles, damaged seals and other hidden defects) or if EcoTech Oven & Carpet Cleaning technicians are unable to detect this in the course of their professional inspection. Carpets and upholstery will be inspected prior to cleaning and any visible damage will be confirmed before cleaning. Also if there are stains it will be discussed prior to cleaning if there is any doubt that the stain may not be removed. Any defects noted by our technicians will be agreed with the customer prior to cleaning. On completion of cleaning the carpets or upholstery or appliance will be checked and/or tested in the owners presence and confirmed by signatures on the invoice. In the event of defects being found, customers must demonstrate that such defects were caused by the cleaning company. (Receipts must be provided.) The company shall be notified of any obvious defects within a reasonable time following cleaning. EcoTech Oven Cleaning shall be liable to the full and unlimited amount for the loss of items at the replacement cost. For damage caused during cleaning, the cleaner shall be liable only when gross negligence can be proved and then to the full and unlimited cost of replacement. Liability shall otherwise be limited to the price of cleaning. If you have previously purchased services from us we may provide to you details of other services we provide, that you may be interested in. EcoTech clean with a range of 100% eco-friendly products which are completely safe for pets & children. Our unique cleaning system is environmentally friendly & 100% caustic and solvent free. This means you benefit from a safe working environment and a fume-free home. Furthermore, this means ovens and appliances are completely ready to use immediately after cleaning!